A Peterhead youth group, which was scrapped in the autumn, has re-started with new volunteers at the helm. The Anchor Boys group disbanded in October due to having no leader, sparking fears it had ceased permanently. However, after a successful search for volunteers, the section was given a new lease of life last week. The Anchor section, which is for boys in primary one to three, had its first meeting on Thursday. Peterhead woman Hazel Wiseman, had seen the 4th Peterhead Boys’ Brigade group advertising the vacancy on Facebook community pages looking for a volunteer to take on the Anchor section. With family connections to the Boy’s Brigade – her father being an officer for many years – Mrs Wiseman decided to get involved. The new leader said the re-launch evening had been a big success. She now hopes the nights will be a place boys can make friends, gain independence, confidence and have fun. She’s hoping to involve the boys as much as possible in planning for the future and is confident the group will continue to be popular. The local Boys’ Brigade organisation is led by Captain Alan Macdonald, who has been involved for 30 years. He said: “I’m very happy that the Anchor Section has restarted as these boys are the future of The Boys’ Brigade in Peterhead. 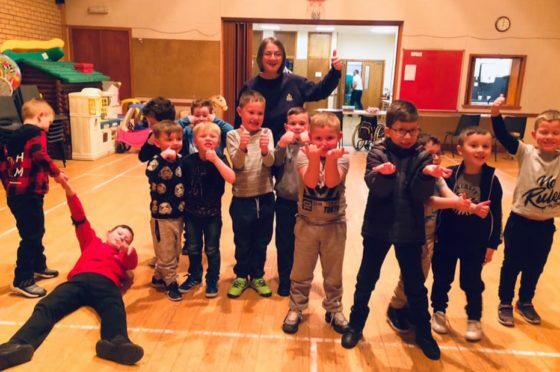 There are currently 38 Boys’ Brigade groups across the north-east – 10 of which are in Buchan.